Update 9/5/18: You can now select the Google Sans font on Chrome OS 70. See the bottom for a screenshot. Google developed the Roboto font in an attempt to create one style that can be read easily on desktops, laptops, smartphones, and smartwatches. To me, seeing Roboto on a website or some marketing material makes me think back to the work Google put into creating it. 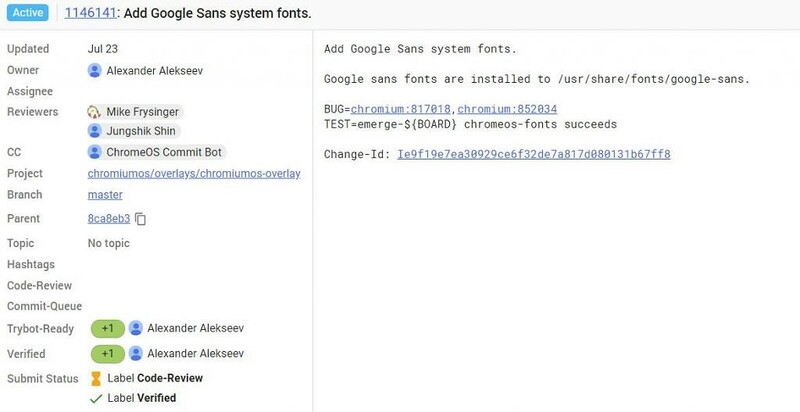 Although, lately we have been seeing a new font from Google that they call “Product Sans.” It was discovered that Google was even taking this further creating an optimized version of Product Sans and calling it “Google Sans.” Now, we’re seeing commits that indicate Google will be using this new Google Sans font in Chrome OS. If you remember back, Product Sans is what Google created and used for the new Google Logo. Many aspects of Product Sans has been adopted from the ever popular Roboto font, but there are some subtle changes made to have things stick out and be a bit unique for the logo. 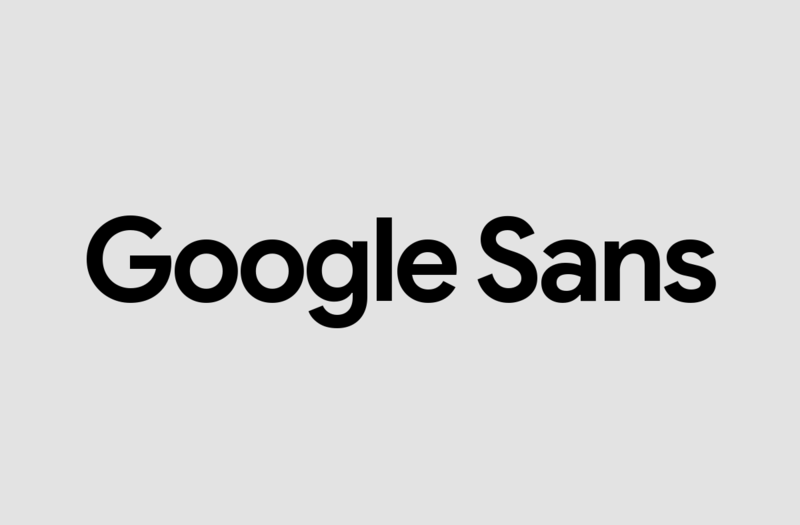 It wasn’t too long ago when we started to see another Sans logo being created and put into use from the Mountain View tech giant. This one was called Google Sans and as you guessed it, it’s a version of Product Sans. Product Sans has made its way into a couple of Google’s websites and services such as the refreshed Wear OS website. They’ve even been using Google Sans for email headers in their latest redesign of Gmail. It seems Google has continued to be a fan of this newly created font as a commit to the Chromium Gerrit page says the font has been installed to /usr/share/fonts/google-sans of Chrome OS. It wasn’t clear if this was just to have the font available in the Chrome OS operating system or if it was actually going to be used. Then we found a bug report for Chromium that detailed how they are planning to use it. If everything goes smoothly and gets approved, then Google will be using the Google Sans font for titles. Currently, Roboto is available as a font choice in Chrome OS, but it is not the default. Product Sans and Google Sans are used heavily on the Pixel devices, so it makes sense to bring them over to Chrome OS. You can now select the Google Sans font in Chrome OS 70. Thanks to David Slawotsky for the tip!